Provide comfort for the family of William "Bill" Weaver with a meaningful gesture of sympathy. Peacefully passed in the comfort of his home after a long illness on Tuesday, March 19th, 2019 surrounded by his loving family. 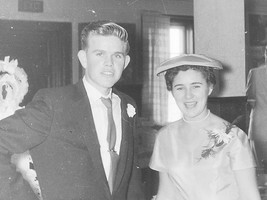 Beloved husband and best friend of 60 years to Marie Weaver (nee Waram). Loving and devoted father to his sons Rick (Monique), Jim (Lise) and Ron (Brenda). Proud grandpa of Stephanie (Darryl), Michelle (Alex), Matthew (Dave), Melissa (Jamie), Trevor and Bryana & great grandfather of Aiden, Ella, Zoey and Kinley. Predeceased by his parents Kenneth & Louise Weaver (nee Wilkins). 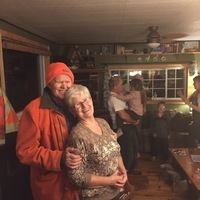 Dear brother of Ernie Weaver (Rhonda) and Judy Cook (Harold & brother-in-law of Al Waram (Annette), Richard Waram (Kathy), Dennis Waram (Carol) and Shirley Waram (Richard). He will be sadly missed by his many nieces, nephews, family and friends, especially Bruce and Mildred Warren. Bill was a super dedicated family man who loved and lived life to the fullest. Bill and Marie had an exceptional marriage that was an example to all. 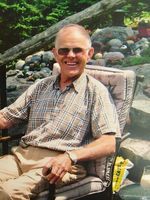 He had a special connection with his grandchildren and great grandchildren and was loved deeply by his family. In his last days, he took the opportunity to have a heart-to-heart with each family member individually. Bill was an easy man to talk to and non-judgemental; because of this, he earned the respect and admiration of everyone who met him. He was kind, caring, and honest. Bill was a hard worker who was always willing to lend a hand. He took pride in his work and also loved to have fun. ‘Wild Bill’ (to wiser ‘wild William’) loved adventures. He had a passion for everything outdoors. Hunting, fishing and loving every day could have been his theme song. He enjoyed flying airplanes and many flying trips with his brother. He delighted in spending time at his camp on Fairbanks Lake and time at Ron’s hunt camp. He participated in many skiing trips and many wonderful cruise vacations. In the last couple years, Bill said many times that he had no regrets and had done all of the things that he wanted to do in his life. 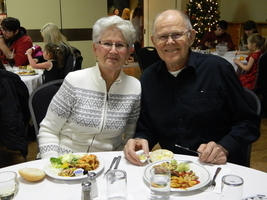 The family would like to extend a heart felt thank you to the many doctors, nurses and staff from Bayshore and Health Sciences North – Dialysis Unit for their care and compassion. A special thank you to Dr. Claire Warren for her kindness and taking such exceptional care of Bill. Family and friends are invited to attend the entombment of ashes at the Valley East Cemetery (170 Gravel Dr, Hanmer) on Monday, March 25th, 2019 at 11:30 am with a reception to follow at the Lougheed Funeral Home Hanmer/Capreol Chapel (4605 Michelle Drive, Hanmer). If you are not attending the burial, the family asked that you meet them at the funeral home at 12 noon for the reception. In lieu of flowers, donations to a charity of your choice would be appreciated by the family. To send flowers in memory of William "Bill" Kenneth Weaver, please visit our Heartfelt Sympathies Store. Family and friends are invited to attend the entombment of ashes at the Valley East Cemetery on Monday, March 25th, 2019 at 11:30 am with a reception to follow at the Lougheed Funeral Home Hanmer/Capreaol Chapel (4605 Michelle Drive, Hanmer). Consider providing a gift of comfort for the family of William "Bill" Weaver by sending flowers. We encourage you to share your most beloved memories of William "Bill" here, so that the family and other loved ones can always see it. You can upload cherished photographs, or share your favorite stories, and can even comment on those shared by others. My deepest condolences to you Marie and family. Thinking of you. So sorry for your loss. Sending our heartfelt sympathies to you Rick, Monique and family as well as to Marie and family. Sorry I couldn’t make it to the service. We are sorry for your loss. Bill, was such a great person, BIll will live on in our memories forever.